Judges sitting on Ohio’s Fifth District Court of Appeals asked several pointed questions Tuesday as they heard arguments regarding an ongoing issue involving Liberty Township. The case before the court is an appeal of the Ohio Court of Claims’ ruling that the notes of a Cincinnati attorney who was contracted by the township for an investigation are public record. Douglas Duckett was commissioned in March 2016 by Liberty Township trustees as a private investigator to probe the conduct of former Fire Chief Tim Jensen. Gwin said there has never been an analysis done to know if the notes should or should not be considered public documents. He said the only way to determine if the notes were public records was through an “in camera inspection” of the notes. Township residents James Hurt and Mark Gerber made public document requests for Duckett’s notes starting in May 2016. Their requests were repeatedly denied by township officials based on the entity not ever being in possession of the notes. Hurt and Gerber filed in November 2016 with the Court of Claims over the denied requests. In March the court ruled Duckett’s notes were public records. Liberty Township’s attorney, Stephanie Schoolcraft, asked the court to overturn the lower court’s ruling that the notes were public documents. Since this is the first case of its type, Schoolcraft said the parties have a disagreement over the “appropriate standard of review” for the case. She asked the court to effectively have the case retried from the beginning. Judge John W. Wise said that the trustees, as a quasi-judicial board, had the the right to ask for Duckett’s notes. Jim Burnes, independent counsel representing Hurt and Gerber, said the case wasn’t about who touched the Duckett notes last. He said it’s about the getting public documents into the hands of the taxpayers. “This court knows full well that when we get into public records law in the State of Ohio, it’s very clear that all courts bend over backwards in favor of making public records available to people who vote and fund the operation of government,” he said. Burnes said the significance of making the notes available to Jensen’s attorney, Paul Bittner, was to avoid violating a personal note exception rule. Judge Patricia Delaney, presiding judge, asked if the briefs submitted to the court contained the Duckett notes. Burnes told the judge they did not. Scott asked if the records were turned over to the judge of the Court of Claims before making the decision that the notes were public record. Burnes said no. Burnes said he understood what Gwin was saying and that it was a good point, but not neccessarily in this case. President and Executive Director of the Ohio News Media Association Dennis Hetzel testified before the Ohio House Government Accountability and Oversight Committee in support of Senate Bill 321 that created the new procedure within the Court of Claims. 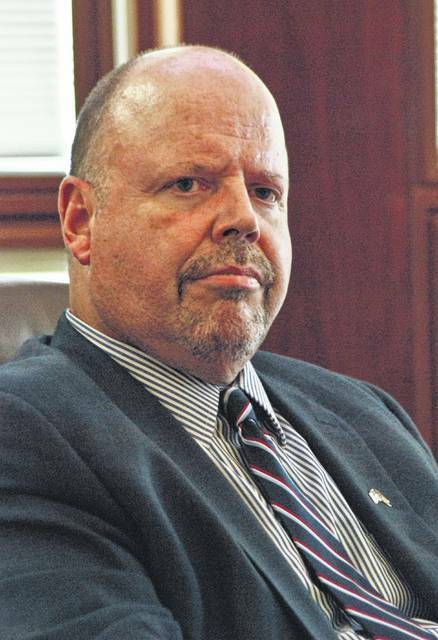 Hetzel attended the Court of Appeals hearing Tuesday. The Court of Appeals must rule on the case in 60 days. This entry was tagged Appeal Court, delaware, Duckett, Gerber, Hurt, Liberty. Bookmark the permalink.